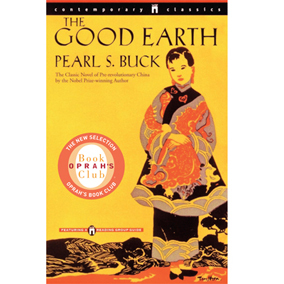 Although Pearl S. Buck was born in America, she spent the first forty years of her life living in China. Her novel The Good Earth, which was instrumental in her winning the Nobel Prize for Literature in 1938, was chosen as an Oprah book club selection. After writing The Good Earth, which was set in pre-revolutionary China and depicted the lives of ordinary peasants, she went on to write several novels about other Asian cultures. For a list of her impressive work click here. In order to help Asian children fathered by US Servicemen all the proceeds from her book Mandala went to the Pearl S. Buck Foundation. The address was in Brooklyn and he had not yet been to Brooklyn. He disliked the subway and he liked to walk, especially in the early morning when the air was still clean and the streets were almost empty. Pearl S. Buck’s literary reputation was built on her love of justice and her outspokenness against racism and sexism. This entry was posted in Nobel Prize Literature and tagged CHINA, MANDALA, NOBEL PRIZE IN LITERATURE, OPRAH BOOK SELECTION, PEARL S BUCK, THE ETERNAL WONDER, THE GOOD EARTH, THE LIVING REED. Bookmark the permalink. “The Good Earth” sounds interesting. The title definitely caught my attention. Titles, as book covers, are important. They can lure, as in your case, a reader to at least take a glance at the book. Buck is one author worth knowing. My husband and I met in high school when we both signed up to study China in our history class. He was a huge fan of Pearl S. Buck. This really brings back those memories of talking to him about her books and all. So sweet. And talking of memories, I was thinking about you and your memoir yesterday while reading Karl Ove Knausgaard’s novel, Boyhood Island. It is a the last of his My Struggle trilogy. The other two are titled: A Death in The Family and A Man in Love. It is an autobiographical/fiction book. You might want to have a look at it for the style of writing, in particular when on page 11 he talks about the different kinds of memories. You can read it on the “look Inside” feature at Amazon.com. Thanks for this information, Margot. There is so much to say about her. She was a remarkable woman who not only took care of her own children but also had great concern for orphans. The thing about her involvement with Korean babies -whose fathers were servicemen who returned back to the States – is that in Korea a child belongs to the father and thus, these children were denied citizenship. Even today, her foundation continues to help children in need around the world. She rightly deserved the Nobel Prize. 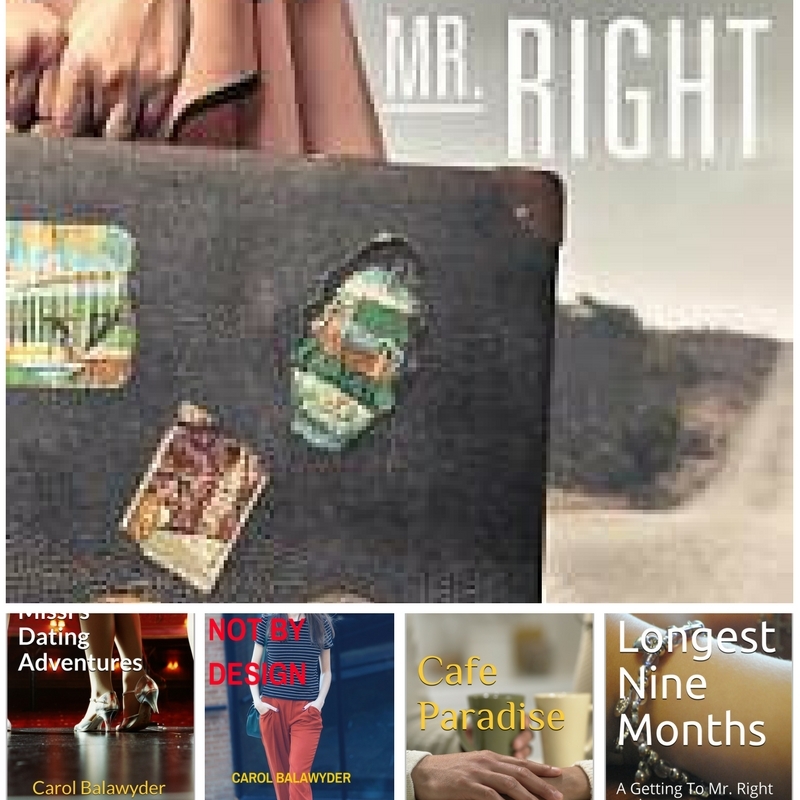 There is so much to read and, as time goes on, the list gets longer and longer. Doing this series on Nobel Prize Laureates has put me in touch with such excellent writing. I have only admiration for these women.Not only do they excel in their writing but also as citizens trying to make the world a more peaceful place to live in. wow, so great and informative Carol. You always bring such amazing surprises! Thanks for your support and kind words. I find it greatly inspiring to write this series on Nobel Prize winners in Literature. On another note, I still can hear your wonderful piano piece, Cherished Moments. So peaceful and beautiful. It is my honor and pleasure. You bring a smile and joy throughout your articles. Thanks for reading and sharing. With a mother who adored Pearl S. Buck it’s no wonder your blog posts are so interesting! Her book The Eternal Wonder sounds interesting. I’m adding it to be TBR list. Thanks, Carol! Buck wrote this novel when she was 78 or so and knew that she was dying. This was in 1973 but the manuscript was only found in 2013. The novel follows the life of Randolph Colfax, a “genius,” and includes his love affair with an older woman. And of course, Buck’s theme of tolerance. You have piqued my interest in reading her words. Thanks, Carol. I remember when I was assigned this book as a young girl. I think the themes were probably bigger than I understood at the time but i will never forget the way the teacher introduced Buck and her book- with reverence- as if what we were about to read was an epic big deal. I love that this manuscript was discovered so she could ‘write on’ from the grave. 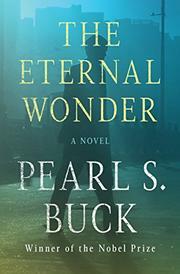 I am so excited to read about this new” book by Pearl Buck! I have read all of the other ones you mentioned. I was so happy to read, “Mandala,” that the proceeds went to her foundation. I am sure she allocated good and universal projects for this money. I had not known that the children from U.S. servicemen were part of this funding. Good to know. Carol – Another worthy entry in you Nobel winners series. I haven’t read the book The Good Earth so I have to put it on my TBR shelf. However, I’ve seen the film with Louise Rainer and Paul Muni, which is quite good. Love that Pocket Books edition cover! What an astonishing list of works. I trawled through it hoping to recognise the novels I read and enjoyed so much in my teens, but I couldn’t be sure about them. all I can say is that delighted in her writing. “The Good Earth” is an amazing book. I remember pouring over it and taking in every word. Glad to know more about the writer! I had no idea there was another manuscript that had been published. If it’s even half as good as her other writings, it will be well worth reading!